Scrumptious Saturdays is my series of weekly roundups and yes, sorry I know today is Sunday but yesterday was a whirlwind of special cakes and birthday treats! Last week’s theme was Life’s Lemons and a fabulous set of refreshing recipes to make from lemons. 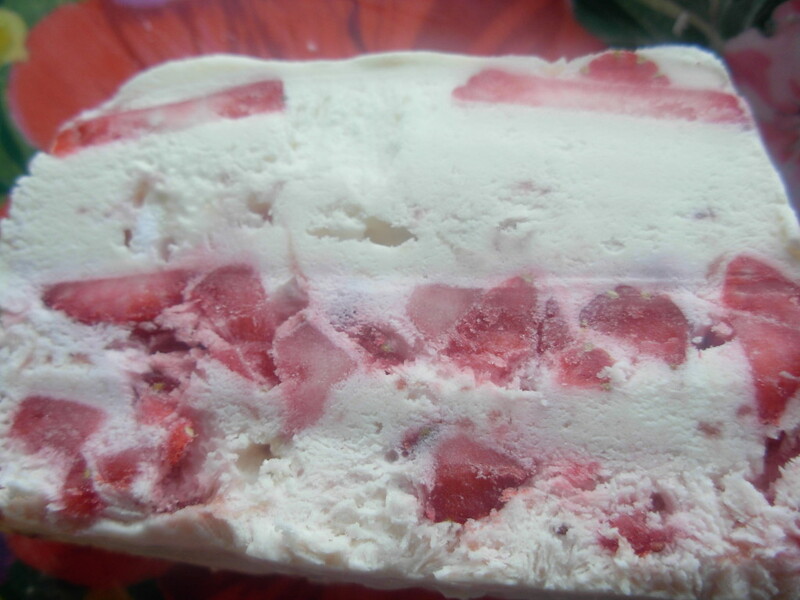 With the summer almost upon us my thoughts have turned to further refreshment with frozen desserts. 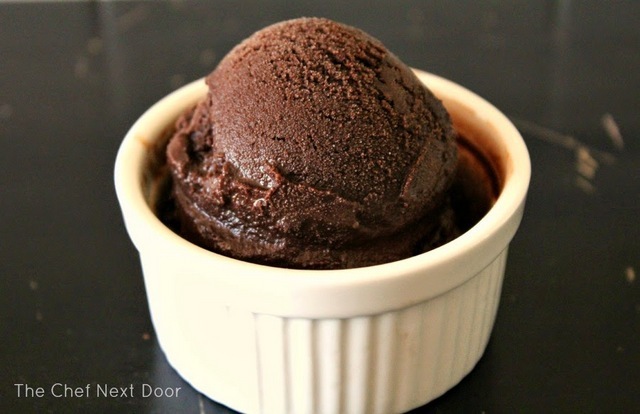 I think this Dark Chocolate Sorbet by Sarah from The Chef Next Door looks fantastic. It is wonderful to find a decadent frozen chocolatey treat that is low in fat. 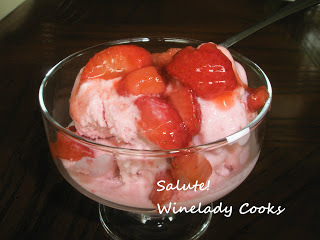 Staying with the low fat options, here’s a tasty Strawberry Frozen Yoghurt by Joanne at Wine Lady Cooks, topped with scrumptious macerated strawberries. 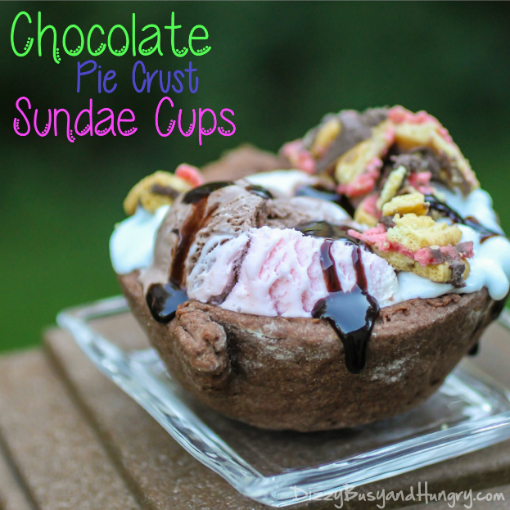 For parties and fun with children, check out these Chocolate Pie Crust Sundae Cups. These are made by the talented “Thing 1”, teenage son of Kristin at Dizzy, Busy and Hungry. I think these edible ice cream bowls would be great for parties and you could have a selection of frozen treats to fill them with. 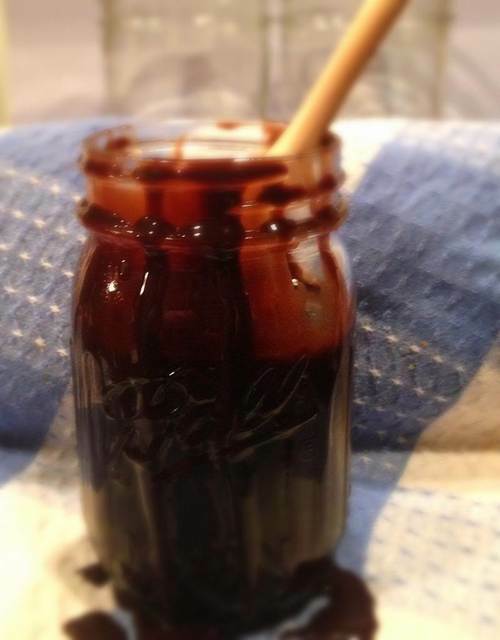 So, instead of eating all those nasties, why not make your own Homemade Chocolate Syrup. 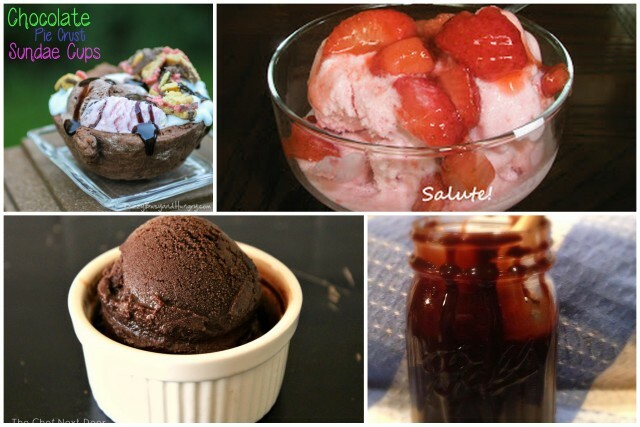 This recipe by Stephanie from The TipToe Fairy takes minutes to make and has no nasty high fructose corn syrup (otherwise sneakily known as glucose-fructose syrup)! In other news I was a guest contributor on Edinburgh Foody this week, reviewing The A-Z of Eating out by Joseph Connolly. 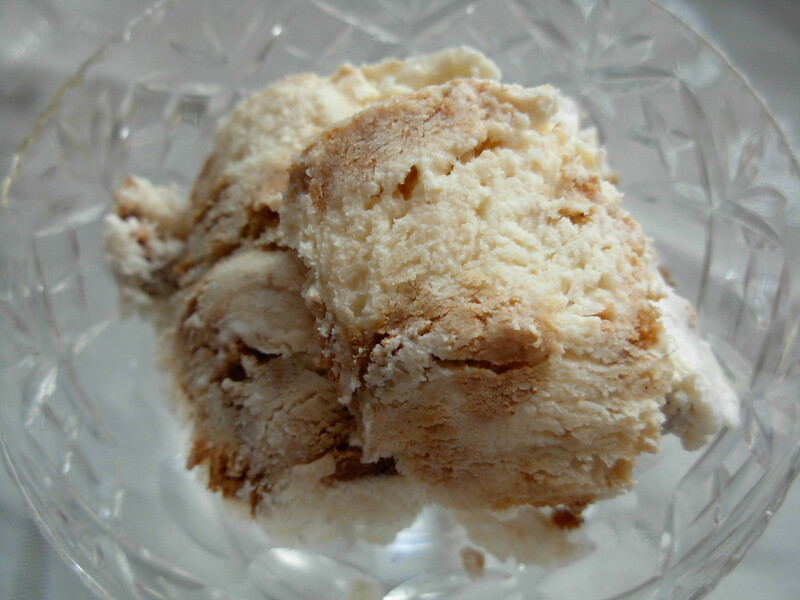 Finally here are a couple of my own recipes for frozen treats.